The Nanyang Normal School was established by philanthropist Mr. Tan Kah Kee (陈嘉庚) in 1941 as a chinese primary teachers’ training school. The school was located along Kim Yam Road in River Valley. In early 1942, it was used as a headquarters and training grounds for Dalforce, a Chinese volunteers’ army that was formed immediately before the overland attack of the Japanese army. The Nanyang Normal School ceased operations during the war and the campus was later used by a newly established Chinese secondary school — Nan Chiau Girls’ High School (南侨女子中学). – Kevin Blackburn and Chew Ju Ern, Daniel, “Dalforce at the Fall of Singapore in 1942: An Overseas Chinese Heroic Legend“, 2005. With the agreement of the Mobilisation Council’s representatives, the Singapore Overseas Chinese Volunteer Army was established, led by Lim Kang Sek and Hu Tie Jun (胡铁君). The army was also known as Dalforce as it was coordinated by Colonel J.D. Dalley, Superintendent of the Malayan Police, Special Branch. Dalforce companies were responsible for the defence of the Kranji region in the northwest of Singapore –where enemy forces were least expected to land. Contrary to the British army’s speculations, the Japanese sent its main attacking force to cross the narrowest part of the Johor Straits near Sarimbun Beach on 8 Feb 1942. The attacking troops were met with resistance by one of the Dalforce companies and the Australian and Indian brigades that the company force was supporting. Dalforce also fought several bitter battles near Bukit Timah as the Japanese troops advanced towards the city center of Singapore. On 13 February 1942, two days before the surrender of Singapore, Col. Dalley demobilised Dalforce and awarded each soldier a token sum of ten dollars. Following Dalforce’s disbandment, several of the key members escaped to Sumatra, and from there to India. Some of the remaining volunteers joined the Malayan People’s Anti-Japanese Army (MPAJA, 马来亚人民抗日军) and continued resistance activities in Japanese-occupied Malaya. By most accounts, the Dalforce soliders were poorly equipped and received minimal military training. Their uniform was supposedly blue, with a triangular piece of red cloth on the right arm. A yellow cloth was also wrapped around the head, because there were no tin helmets or other military headgear available in under-siege Singapore then. (The soliders had probably wore the blue uniforms in battle, and not during training as evidenced by the film-still above.) According to Frank Brewer, who was training members of Dalforce, the standard issue for each solider would have been a shotgun (or hunting rifle), seven rounds of ammunition and two grenades. According to Dalforce veteran Choo Kim Seng (朱金生), they were also equipped with a bayonet or parang, a water bottle and a towel/carpet around the waist. 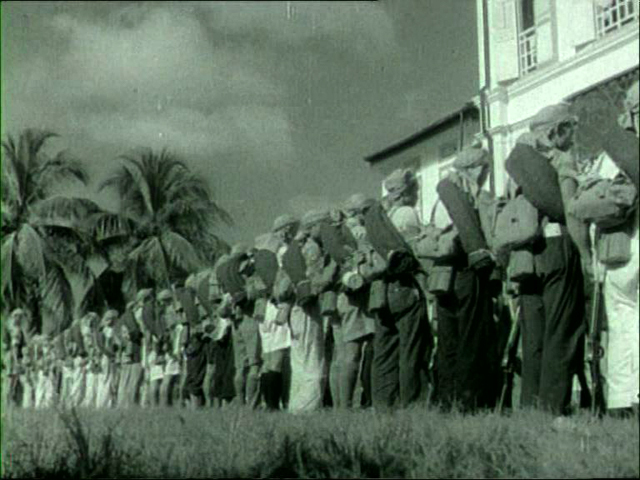 Indeed, we can tell, from the film-still above, that the training soliders wore the towel/carpet over their shoulders, was holding on to a shotgun each, and wrapped a piece of (yellow) cloth around their own heads. According to Dalforce veterans who wrote about their experiences and published them soon after the end of the war — eg. Hu Tie Jun’s “War History of the Singapore Overseas Chinese Volunteer Army (星华义勇军战斗史)” — the volunteers of Dalforce have often been portrayed as being extremely brave, and because of their courage and steadfast anti-japanese spirit, they had been able able to overcome the odds stacked against them and dealt a significant blow to the enemy. These veterans’ accounts have become the stuff of heroic legends, and in the opinion of historians such as Kevin Blackburn and Karl Hack, they were often exaggerated and glorified Dalforce’s military achievements. They were part of the veterans’ attempts to compare Dalforce’s heroism with that of earlier nationalist Chinese heroes — eg. the Eight Hundred Heroes (八百壮士) of Shanghai in 1937. We were not witnesses to the Dalforce’s battles with the Japanese, so we should leave the judgement of Dalforce’s heroics to historians who would match Dalforce veteran’s accounts with those of the Japanese, British, Indian or Australian army veterans. However, the enthusiasm of the Dalforce volunteers was not to be underestimated. Most had signed up immediately upon the Mobilisation Council’s call for volunteers and were raring for a battle with their enemies, the Japanese. Morrison had been mistaken. This song “Arise” (or “March of the Volunteers’ Army” 义勇军进行曲) has been composed and written way back in 1935 as an anti-Japanese song to be used in a Chinese film “Sons and Daughters in a Time of Storm (风云儿女)”. It is now the national anthem of the People’s Republic of China. The best and most unique rendition of the song, in my opinion, is by Paul Robeson, an American singer political activist. 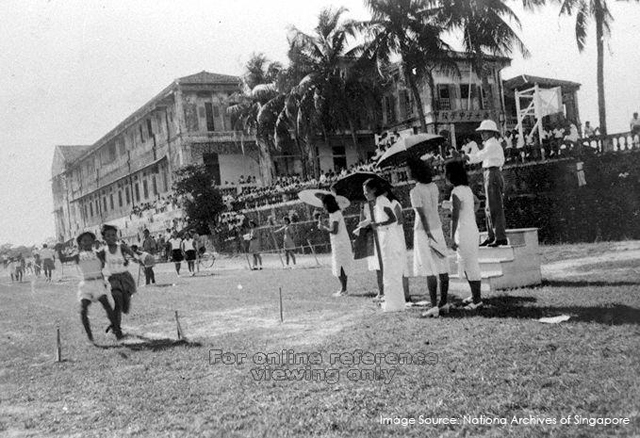 Sports Day at Nan Chiau Girls’ High School, 1948. 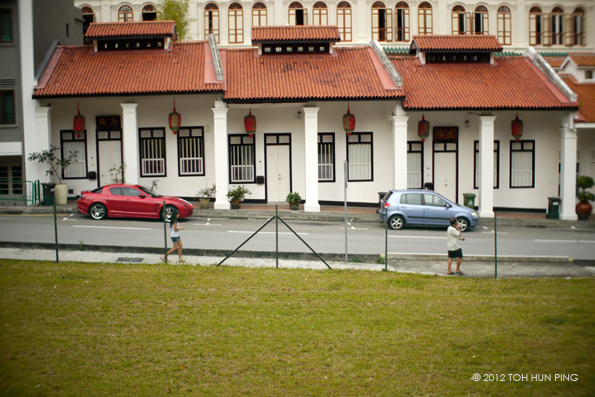 Note the similarities in the photograph above and the first film-still of this post — the two-storey building in the background and the raised grounds with chinese-style balustrade fence. (Update on 15 May 2013: Another image of Nan Chiau Girls’ School, c.1950. 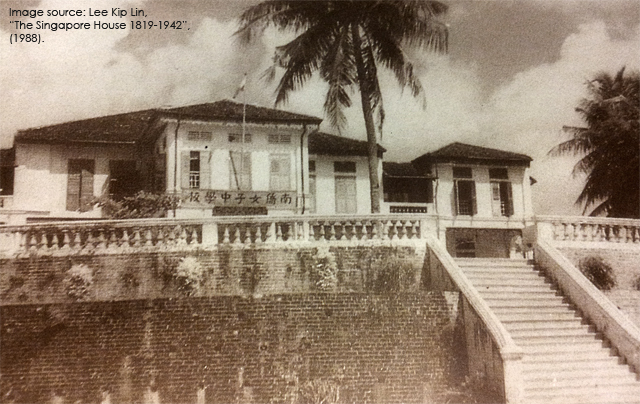 I also found out that the building was formerly the house of opium farmer and philanthropist Cheang Hong Lim. He purchased the property on Morrison’s Hill around 1884. I lived along Kim Yam Road during 1990-2000s and Nan Chiau High School was just a 100m walk downhill from the place where I lived. Some of my relatives had studied there — my aunt and one of her daughters are alumni of the school. I was rather astounded to realise, only recently, that the Dalforce had been based in Kim Yam Road and had used the school compound for training 70 years ago; that there was some communist (or as some might say, nationalist) fervour brewing in the same neighbourhood where I had lived, albeit some fifty years apart. 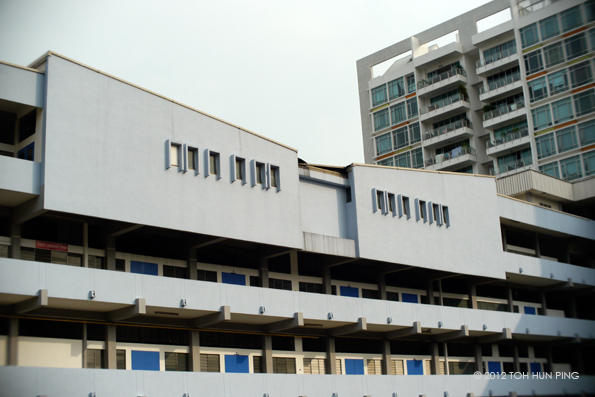 Nan Chiau Girls’ High School was immensely popular during the 1960s, and it was rebuilt at the same Kim Yam Road site in 1969 to accommodate the increasing student population — the buildings in the former school compound that are still standing today date from that period. However, in the late 1970s, the student intake started to drop as residents of the shophouses in Kim Yam Road and the vicinity moved to the suburbs or the new neighbourhood towns. 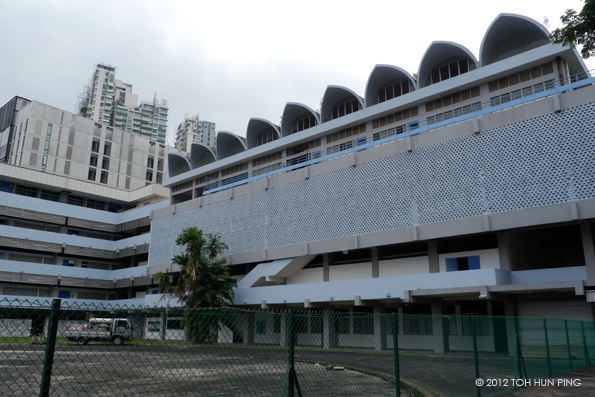 Finally, in 2001, the school relocated to Seng Kang New Town. 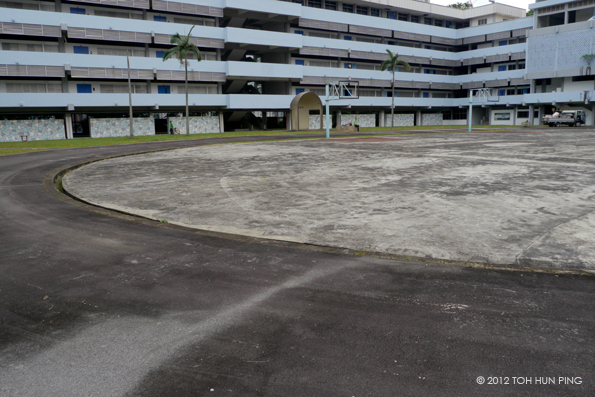 The former school compound of Nan Chiau High School remains unoccupied till today. 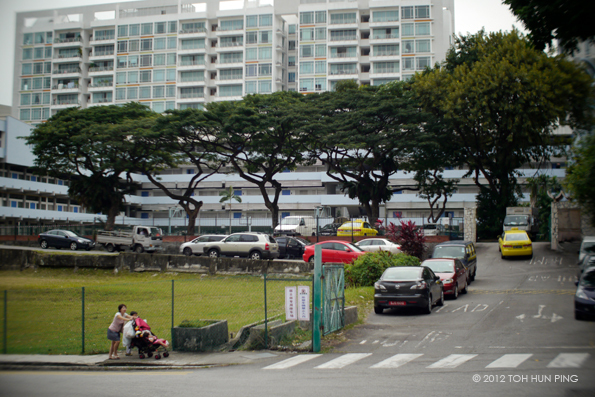 The former site of Nanyang Normal School (1941-42), Dalforce Headquarters and Training Grounds (1942), Nan Chiau Girls’ High School (1947-1984) and Nan Chiau High School (1984-2001) lies along Kim Yam Road. 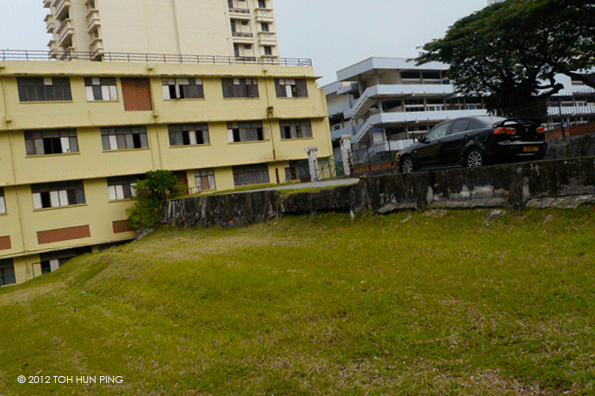 The former Dalforce Headquarters and old Nan Chiau Girls’ High building was built on a hill. The topographical features of the site are probably mostly retained and unchanged until today. The school compound is currently fenced up and unoccupied. The buildings date from 1969, and the building design is typical of the post-independence architectural style of 1960s Singapore. Many skyscraper condominiums now surround the former school compound. 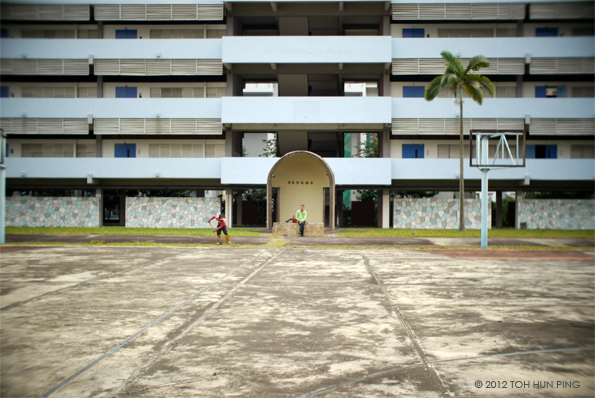 Though unoccupied, the former school compound is kept clean and the buildings are regularly maintained. The former running track and basketball courts. A view of Kim Yam Road and the shophouses opposite the former Nan Chiau High School. 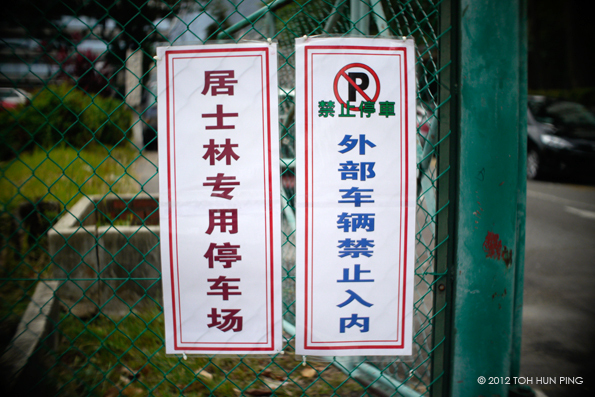 The area in front the former school gate is currently used by The Singapore Buddhist Lodge (居士林) for motor vehicle parking. The temple is located about 50m uphill. 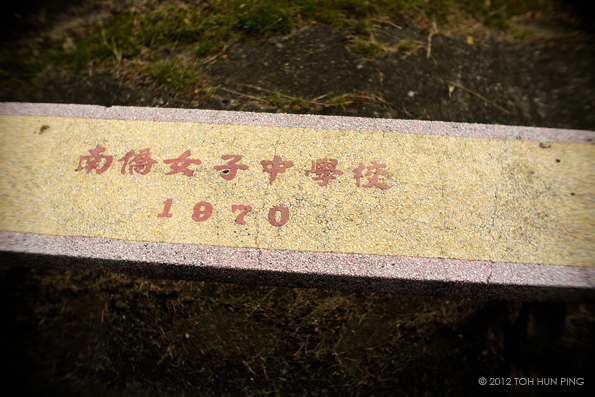 An old school bench dating from 1970. Only the terrain remains. The communist and nationalistic fervours of the Dalforce volunteers have long been displaced elsewhere. Chinese education is history in this country. I have since relocated to the outlying towns too.